For the past 50 years, Cuba has been off-limits to American business and investors. However, since President Obama and Raul Castro restored diplomatic relations in December of 2014, it’s time now to start planning your next business investment in Cuba. I went on an exploratory mission this past September and found it difficult to say the least. Braver than I, Oggun tractor plant has already started their planning with the support of Cuban officials. In 1959, Fidel Castro took power in Cuba and took billions of dollars’ worth of U.S. corporate and private property and nationalized them. This ultimately led to a U.S. embargo on Cuba that halted all forms of commerce and trade with the island -- though Cuban officials would have you believe that the U.S. robber baron’s were at fault and still have museums dedicated to illustrating this. Castro’s rule included the elimination of legal discrimination and saw improved employment rates. But, Castro also managed to limit land ownership and rid the country of private businesses. Castro took over private businesses without payment, which caused the U.S. embargo on trade with Cuba. The embargo, in turn, led Castro to heavily rely on the Soviet Union for support. 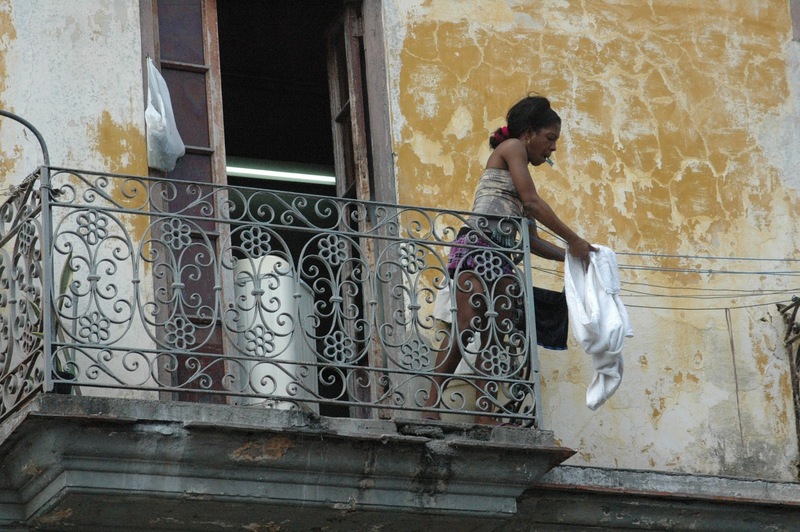 When the Soviet Union collapsed in the 1990s, the Cuban economy significantly declined. Even though Castro was able to help restore some trading partners, he passed control to his brother in 2006 and finally resigned in 2008. In December of 2014, President Obama met with Raul Castro and made the controversial decision to restore diplomatic relations with Cuba. Cuba has always been in a strategic position -- whether as the maritime gateway to Latin America, a Cold War ally of the Soviet Union or today as an economy ready to rise. It’s time to put the past in the past. The opportunities available in Cuba are abundant, and the Cuban government is ready and willing to help expedite the process. Cuban officials have pledged to double the amount of Wi-Fi accessible spots to the public to over 100 locations (yes this is sad, but it’s at least 50 more than five months ago). In September, Wi-Fi was basically non-existent except at the hotel reserved for foreigners. Even at the hotel Wi-Fi was at the speed of dial-up internet in the ‘90’s. Social media…forget about it. The government is also in the process of providing broadband internet service to some homes, a luxury that is currently illegal. The steps are being taken to make Cuba a more accessible and business-centric option for companies looking to expand outside of the U.S. There is an opportunity here that is smaller but on the same philosophical and economic scale as when Deng Xiao Ping opened the doors to China. One key component that sets Oggun tractor plant apart from other companies that may seek business opportunities in Cuba is their overall goals and purpose for choosing to produce in Cuba. Oggun is seeking to create affordable tractors for local private farmers to help further develop the agriculture in Cuba as well as provide nearly 30 jobs to locals within the factory. When considering whether or not Cuba would make sense for your next business venture, you must consider the benefits to the Cuban community. How can your business help their economy while also providing you with an opportunity to expand? This is where my exploratory trip ended. Like most socialist / communist societies, education is tightly controlled by the government, which makes something as innocuous as teaching English, Chinese and Portuguese almost impossible -- despite its positive intellectual and economic effect on the Cuban people. Cuba has transformed. There is a burgeoning number of private entrepreneurs operating in the country. I was fleeced by a few of them. 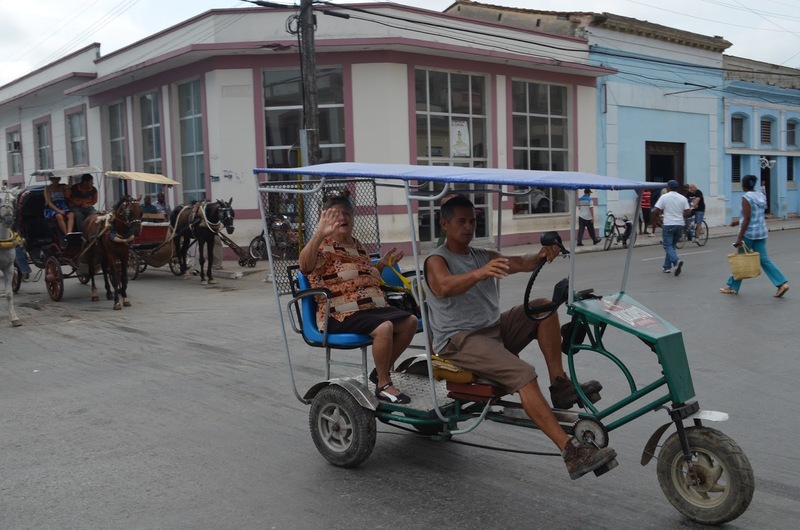 The Cuban government has changed their policies to help local business leaders, private farmers and employees of Cuba’s joint ventures to live, thrive and survive. The private sector of the Cuban workforce now comprises about one third of the entire Cuban workforce, and it will continue to grow over time. -- especially as ventures such as Oggun start to pop up in Cuba. 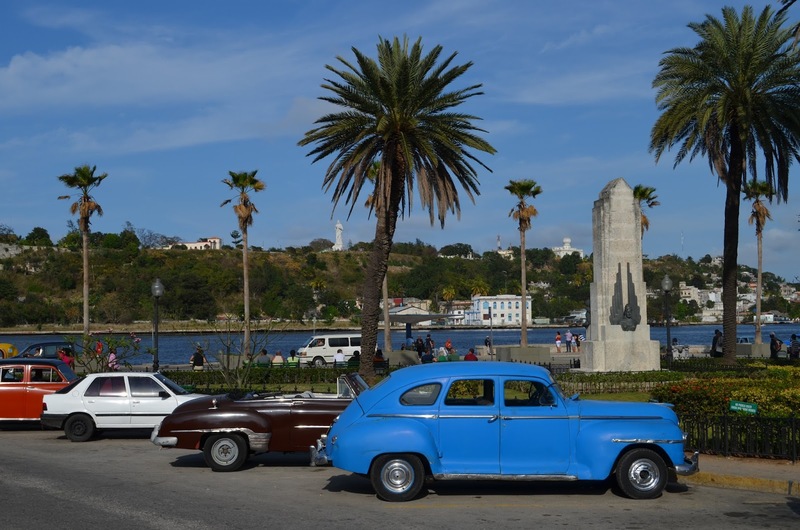 Cuba’s private sector is an enticing opportunity for businesses and, despite the growing pains, it is worth it to make the move now before the market becomes saturated. The Cuban culture is filled with entrepreneurs and forward-thinkers, and if your business can tap into that workforce and partner with these Cuentapropistas (private entrepreneurs), the options for future growth on the island are endless. Cuban citizens pride themselves on creativity, and while that spirit may have been oppressed in the past, it’s changing -- slowly, but still changing. The people of Cuba may be your business’ next competitive advantage. So what’s next for your business? This isn’t a process that’s going to happen overnight, considering Oggun isn’t planning on opening until early 2017, the time now is to start planning and figuring out your next move. If your business is ready, do your research -- figure out how you can benefit the Cuban community. Your business needs to integrate into the culture to turn this new relationship with Cuba into a great investment for your business. Like China, there is the easy way in filled with risk and mostly illegal but quick returns. There’s also the right way, which is frustrating and time consuming but ultimately rewarding. 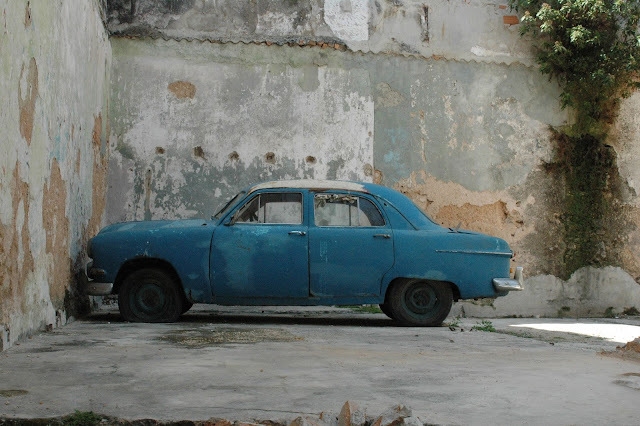 It may take years in Cuba, but now is the time to get started -- just keep calm and step in. You’re going to want to start planning your team. You’ll most likely work with locals to help seamlessly transition your business model to fit their culture and work ethics. In addition, you’re going to want a representative from your company to ensure quality and processes are clearly communicated to the new team. Seek out employees who have a solid basis in Spanish and can navigate the Cuban culture and language. Training your employees to be bi-lingual or investing in bi-lingual employees can help make the process easier without the concern of a language barrier. When planning for the future for your business and different areas for expansion, Cuba is no longer on the black list. Consider just how your business may benefit from the Cuban's culture, entrepreneurial spirit and willingness to jumpstart their economy -- and make moves before it’s too late. Of all the regional variations of the Spanish language, traditional Cuban Spanish is most similar to, and originates largely from the Spanish spoken in the Canary Islands of Spain. 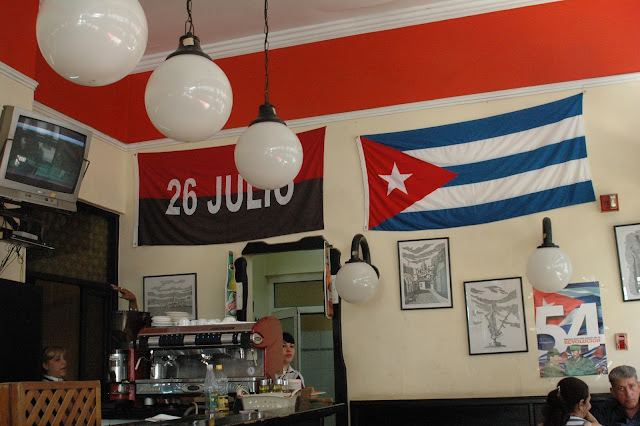 Cuba owes much of its speech patterns to the heavy Canarian migrations of the 19th and early 20th centuries. Migrations of other Spaniards such as Galicians, Catalans, Basques and Asturias also occurred, though without as great an influence. Much of the typical Cuban replacements for standard Spanish vocabulary stems from Canarian lexicon. For example, guagua ('bus') differs from standard Spanish autobús. The word guagua originated in the Canaries and is anonomatopoeia stemming from the sound of a Klaxon horn. An example of Canarian usage for a Spanish word is the verb fajarse ('to fight'). In standard Spanish the verb would be pelearse, while fajar exists as a non-reflexive verb related to the hemming of a skirt.